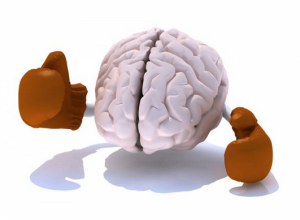 Mental toughness…or dedication…is an important part of martial arts. In life, choosing the “easy path” is too common. But taking the easy path does not test your character. When you need to do your training, do you just find a way to get it done, or do you lie to yourself and find reasons not to go? Do you look at obstacles as a defeat or a challenge? Once you have made a commitment to your martial arts, you need to be resolute in doing all of the actions you need to succeed. Some people call this “mental toughness”. Mental toughness keeps you going even when you do not want to show up to training. Here are some attributes needed to make your mind as tough as your body. Motivation is easy. You can read an inspiring article (e.g. this article) and get motivated. However, motivation does not keep you going, but commitment does. Mentally tough people know exactly what they want to achieve and are committed to making it happen. When you are resolute, you make decisions that are in service to your ultimate goal. When you are committed to yourself and continually show up to training, it is not a matter of if you accomplish your goal, but when. To help with commitment, be ready to accept whatever the day throws at you. Tough day in the office? Traffic on the way home? It happens. Everybody who seems to be “busy” has stuff going on in their life. Simply accept that there will be an obstacle in your way today, but do not let is stop you doing what you need to do. The martial artists we look up to can all perform smoothly under pressure. They can also perform consistently. As martial artists, you must stay in the present moment, keep your focus on the things you can control, and not be distracted by anything not in your plan. It is not easy to stay in the present moment, as your mind tends to wander quite easily. Mentally tough martial artists practice being present. This helps them keep their focus where it needs to be. They also train for adversity so that when it does happen, they can remain composed while dealing with adverse circumstances. Physical fitness can be gauged by how quickly your body recovers between sets and / or workouts. Mental fitness can be gauged by how quickly you can regain your composure after setbacks. There is a good book called, “Who Moved My Cheese”, which is all about assessing ever-changing circumstances, adapting and overcoming. In other words, embracing change. You are not defeated by setbacks. There is no demand you cannot meet. As a trainer, the biggest groans I get out of a class is when I call for burpees. When (not if) I call them again, use this as a chance to practice your resilience. Listen to the negative self talk and try to reverse it. Instead of saying “this will hurt” or “I hate doing these”, change it to “every time I go to the ground, I will bounce back up quicker”, or “every rep is making me stronger” or “I am going to outlast the rest of the class on this exercise”. Harden up! Do not feed your doubts, but rather build your strengths. Every thought you have is a message to you. Are you sending messages of doubt, or are you sending messages of empowerment? Are you telling yourself you can do this, no matter what? Martial artists must have an unbreakable belief that they can accomplish what they say they are going to do. There is never failure, just simply learning. And once you develop that learning mindset, you just want to achieve things more and more. On the flipside, when you get stuck in patterns of negative emotions, it is hard to turn them around. I have felt that way at times. Luckily for me, I have a great network of family, friends, work colleagues and my martial arts community. It is hard to feel down when everybody around you is so positive. And when everybody else is positive, it helps you stay calm and in control. Mental toughness is like a muscle that needs exercising. It is not just one muscle, but lots of muscles that need training. The beautiful thing with mental toughness is that is not bestowed upon a lucky few at birth. It is something that the individual can work on over time. Martial arts is the perfect activity for not only working on your physical fitness, but also your mental toughness and spiritual growth. Use the mental toughness you gain from martial arts to help the rest of your life. If you life this article, please feel free to comment below. Alternatively, please feel free to share on the links below.